Walt Disney World is for the child in anyone. That doesn’t mean that you won’t want a little bit of down time, away from the kids, while in Central Florida. There are plenty of adult experiences available at Walt Disney World, especially at the resorts. Some of them would bore the kids, and others (such as Jellyrolls) don’t allow children. If you’re hoping to have a little bit of “me” or “us” time on your Walt Disney World vacation, it’s possible. Here are the main Walt Disney World childcare options. There used to be a few clubs for the kids at the resorts, but those are now closed. Instead, there is a new fun alternative that your little ones will love. Pixar Play Zone takes place from 6:00 until 10:30 nightly. 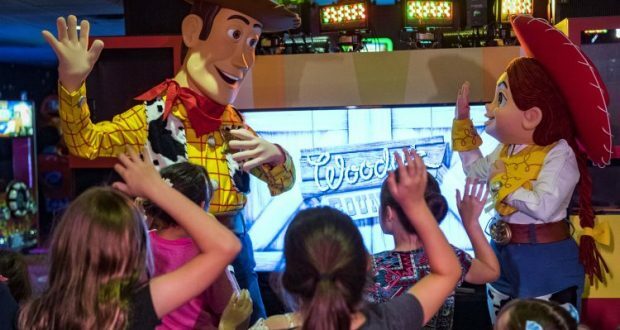 The activities for the kids include Woody’s Roundup, Space Ranger Training, and Piston Cup Challenge. Characters from both The Incredibles and Toy Story will be on hand for the party. Dinner and dessert are served as well. Your kids will have a great time and will be well taken care of, and you’ll be able to enjoy some time away from them. Pixar Play Zone is for children ages four through 12. All children must be fully potty trained in order to attend. The current cost is $65 per child, plus tax. Reservations are strongly recommended, and you’ll want to make them well in advance. For more information or to make a reservation, call 407-824-KIDS (407-824-5437). A credit card is required to make the reservation. 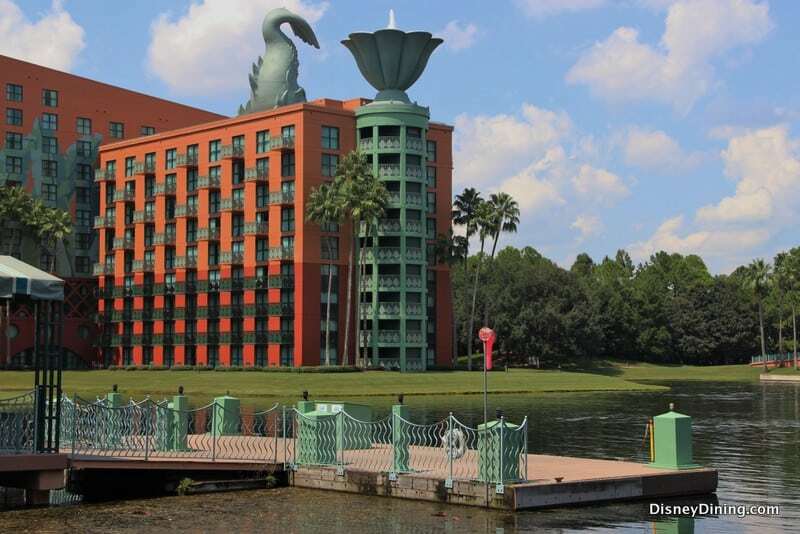 The Walt Disney World Swan and Dolphin Hotels are known for their signature restaurants and the amazing spa. Those are places that many adults will get excited about, but the same can’t really be said for kids. The solution is simple, take the kids to Camp Dolphin. Your children will enjoy arts and crafts, movies, and games where they could win a prize. If you’re dining at Il Mulino New York Trattoria, Shula’s Steak House, or Todd English’s bluezoo, you can drop off the kids for up to two hours for no charge. The same is true for Mandara Spa. Restrictions and requirements apply. Camp Dolphin is open evenings 5:00 until midnight. Children must be between the ages of four and 12. Full potty training is required for all children who attend. The current cost is $12 per hour for each child. Dinner is not included, but can be added for an additional $10 per child. Reservations for Camp Dolphin can be made at http://swandolphinconcierge.com. You can also call 407-934-4000. Camp Dolphin is not owned or operated by Walt Disney World. There are many reasons why you might prefer to leave your kids in the room instead of taking them to a child’s program. Walt Disney World does not have Cast Members who are babysitters. Instead, they recommend the company Kid’s Nite Out. The company watches over 20,000 children each year, so they certainly have the experience that you are hoping for. Caregivers are available 24 hours a day, seven days a week. The caregiver will arrive at your room with a bag of toys. If you’d like, your caregiver will text you during your time away so you can see how your child or children are doing. You will have peace of mind, and your children will have a lot of fun with a trained professional. Kid’s Nite Out will watch children as young as six weeks old. The price depends on the number of children and the time of day. There is a four hour minimum. 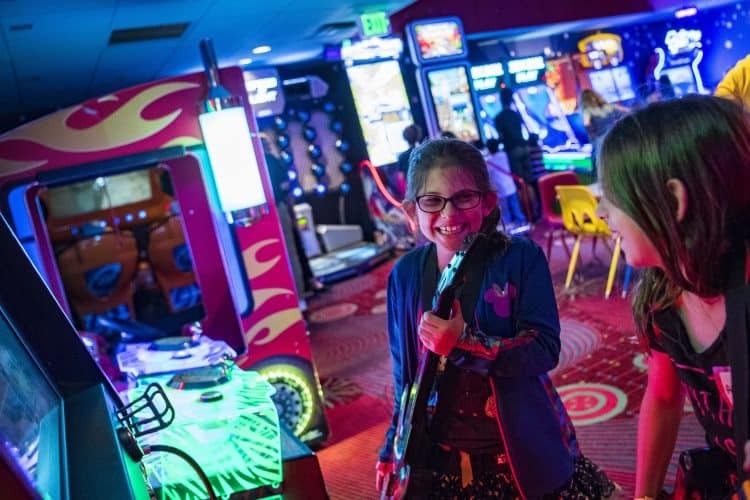 Kid’s Nite Out is also an alternative for people attending a wedding, a convention, or another event that might not allow children. They offer other services as well, including elderly companionship and taking care of pets. It’s recommended that you make the required reservation at least two weeks to a month in advance. You can learn more information at http://kidsniteout.com, or by calling 800-696-8105.